GPS - Eagle Creek Fall's, 220m el. 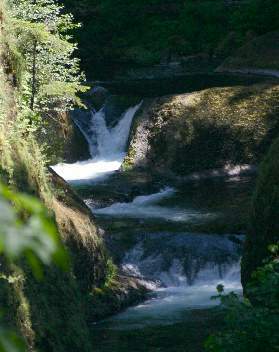 At the 3 mile point is a view of Upper Punchbowl Falls. Continuing on you will see Loowit Falls on the other side of the river.